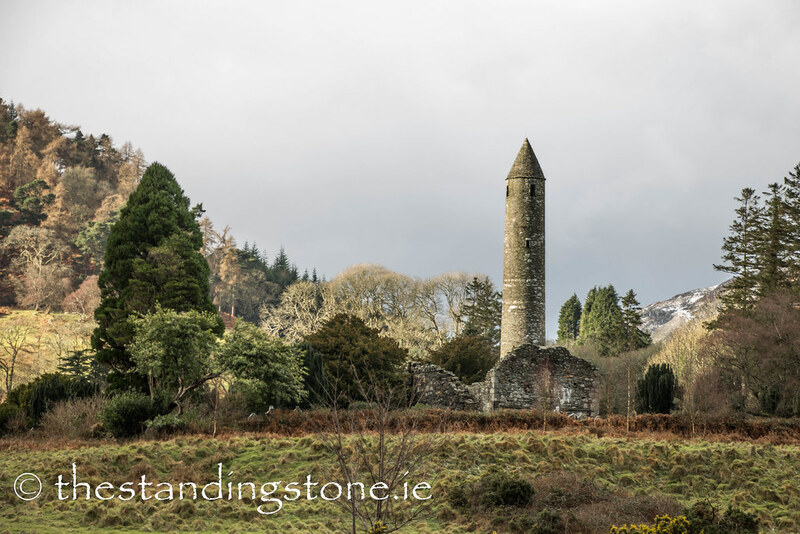 The Standing Stone: The Round Tower, Glendalough, Co. Wicklow. 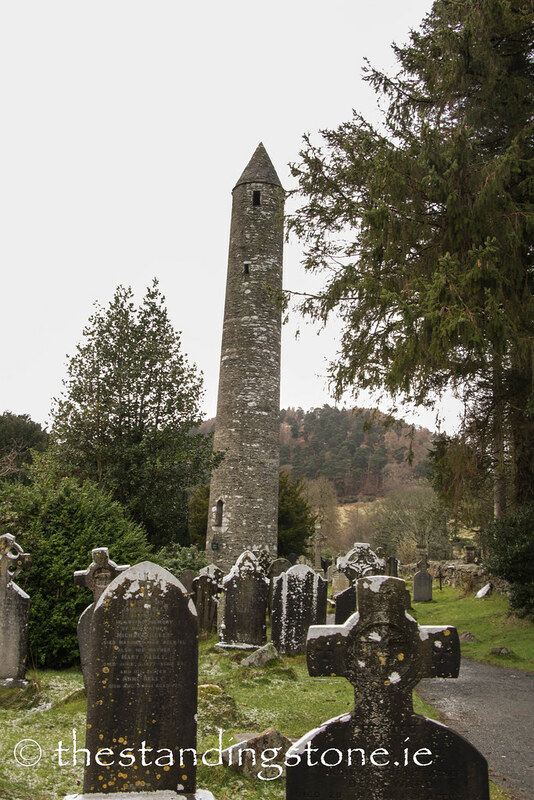 The Round Tower, Glendalough, Co. Wicklow. Location – Part of the main complex of ruins. 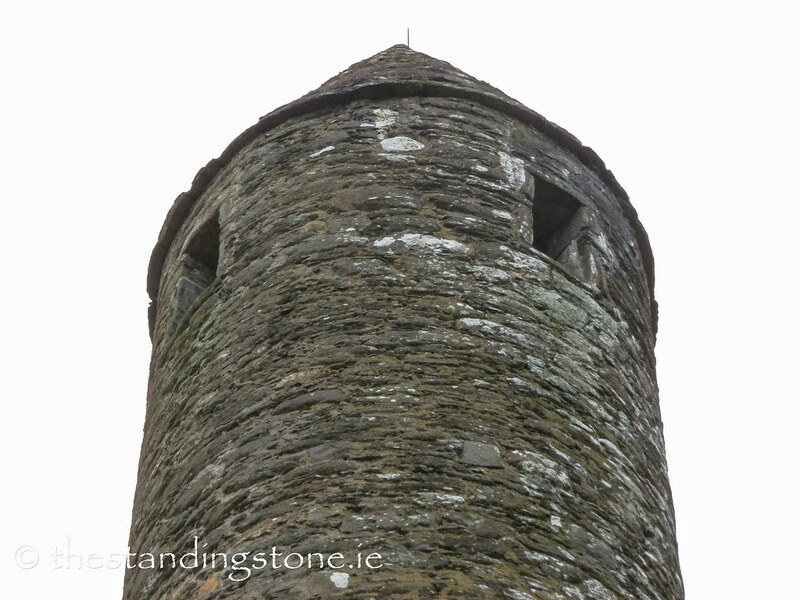 Description and History – The round tower here dates to the 11th century is one of the finest remaining in the country. 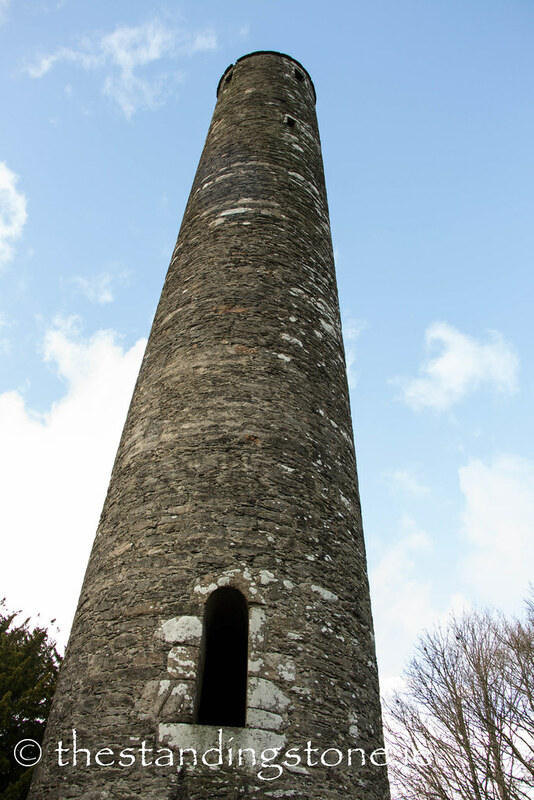 It stands a little over 30m in height, making it one of the tallest in existence. 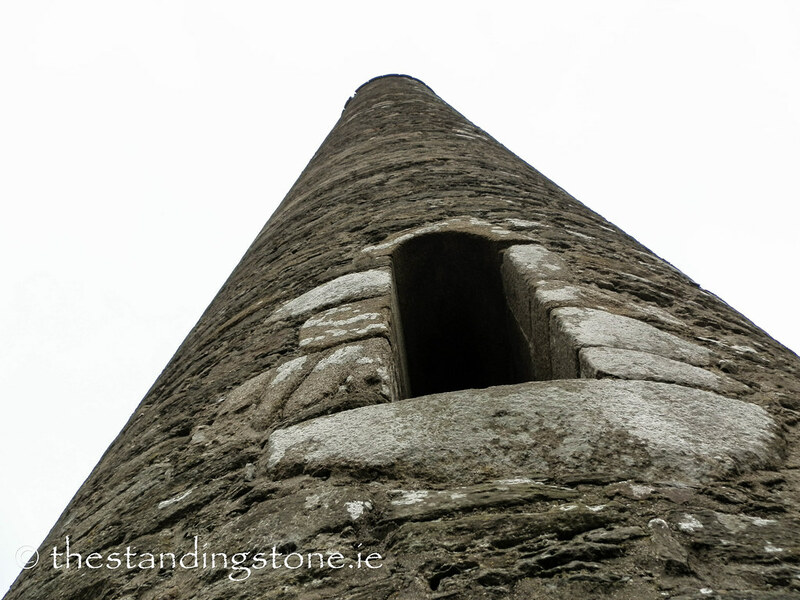 It is made of a type of slate called mica schist, although it has a granite doorway. 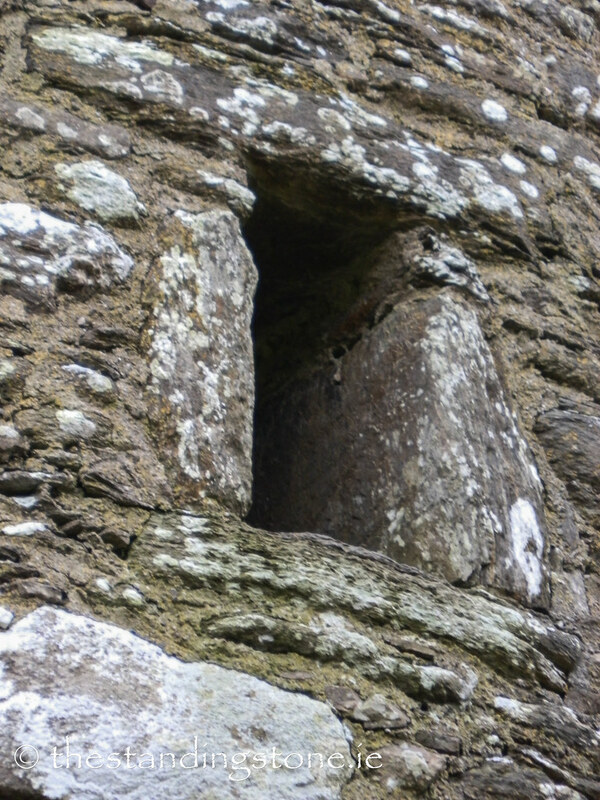 Internally it originally had 6 storeys and each of the four storeys above the doorway (the doorway is 3.5m above the base) had its own window. 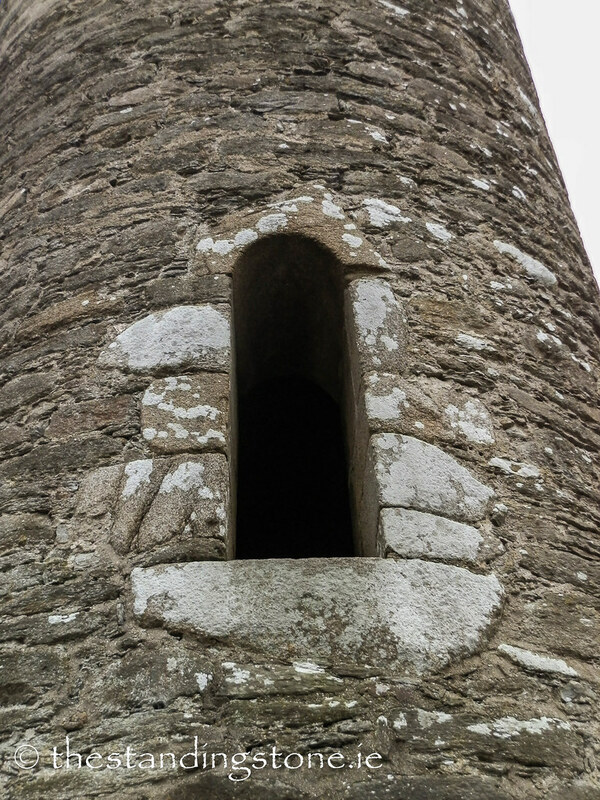 At the very top there are four more windows, facing North, South, East and West. The canonical roof was added in 1876 replacing the original which had been destroyed by lightening. 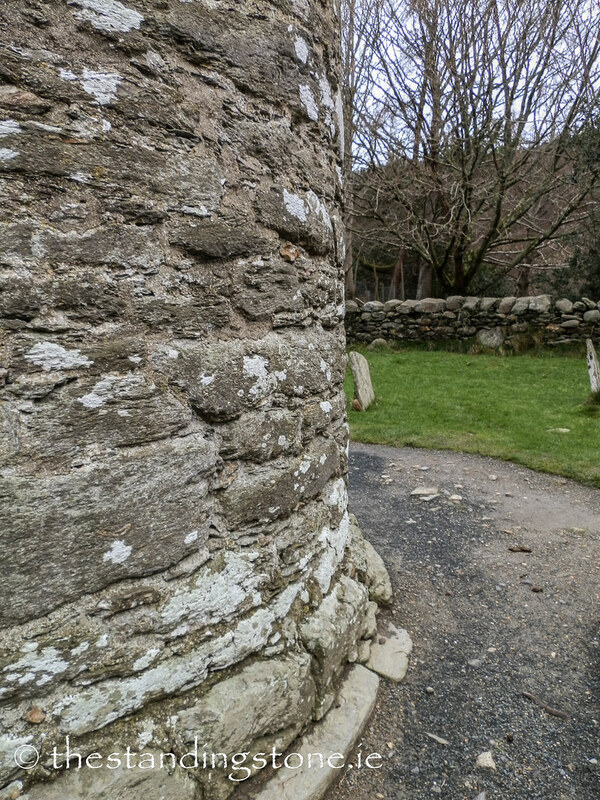 Original stone was used for this repair and was all found inside the tower at its base. 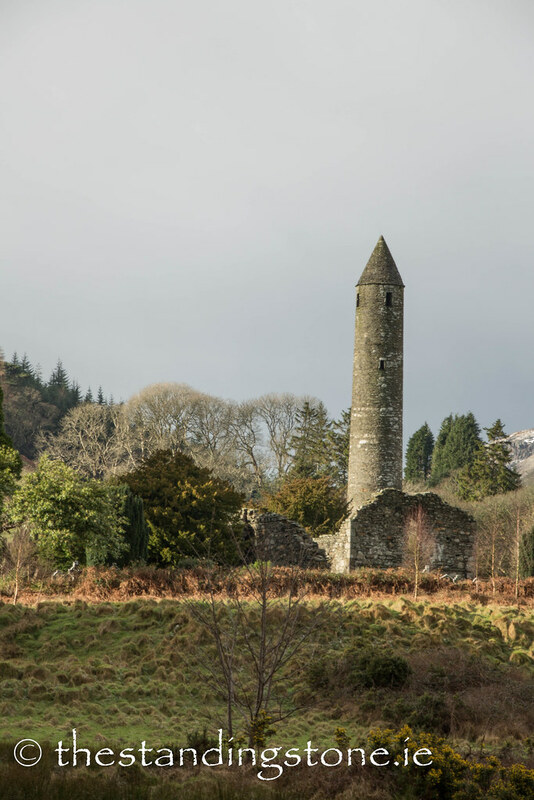 While the name of round towers in Irish (Cloig-theach) means bell tower, they were undoubtedly used as beacons for pilgrims. 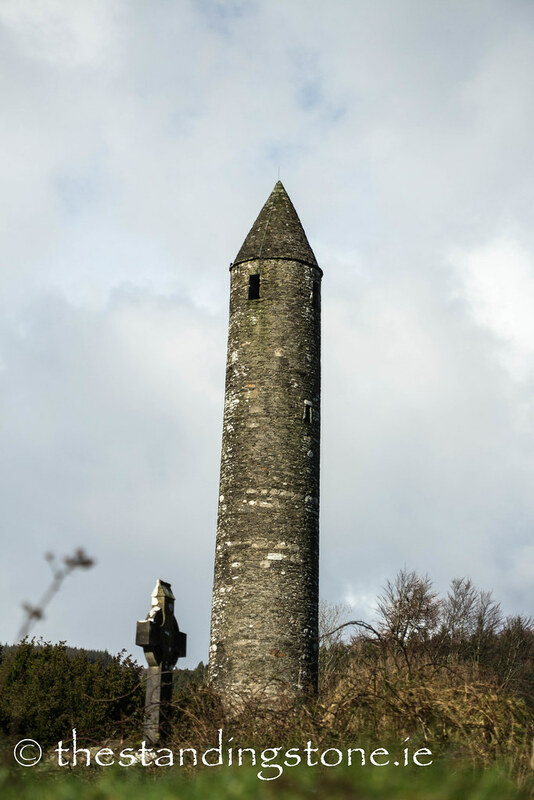 The round tower would have been the pilgrim’s first glimpse of the monastic city on their approach, just as it is for the modern tourist. My own opinion is, like most medieval buildings, this would have been painted white which would have made it stand out even more. It was long assumed that these towers were used as places of refuge during attack based on a reference to one tower being used as such in the annals. 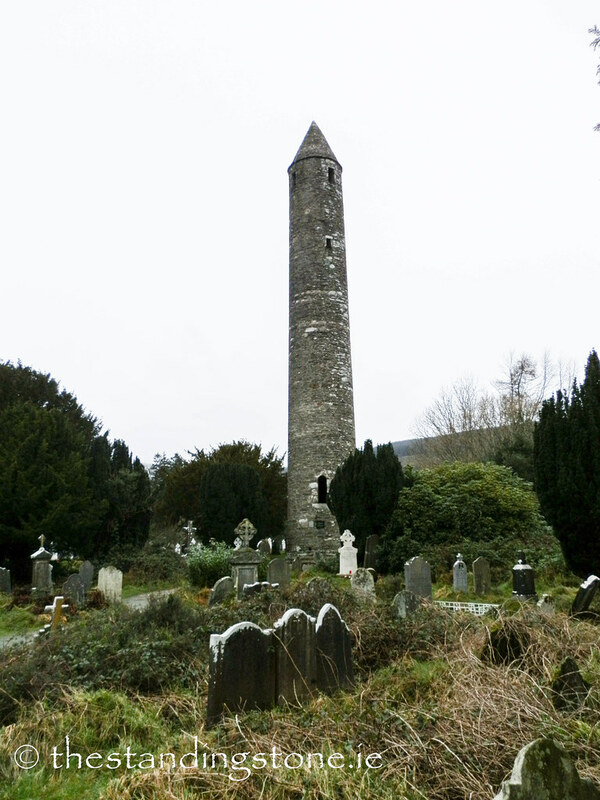 They could have also served this purpose but there is no evidence to suggest that the tower at Glendalough ever was. Difficulty – Very easy to get to and hard to miss. Taken from the pathway to St. Saviour's.